Detoxifying the body is about as important as it gets in your quest to keep yourself healthy. In 1912, Nobel Peace Prize winner Alexis Carrel performed an interesting experiment. He found that when he put chicken heart cells in a test tube and gave them the nutrients they needed and kept the fluid they were immersed in completely free of toxins, the cells lived forever. They were virtually immortal. In fact, the cells were alive and thriving even after 34 years and showed no signs of deteriorating or aging at all! At that time, they voluntarily terminated the experiment because they saw no point in continuing. This experiment was undeniable proof that optimal nutrition and an environment free of toxins as much as possible both outside and inside the body are essential components of optimal health. And why detoxifying the body regularly may be one of the best ways to help preserve and maintain our health. We are, after all, simply a collection of some 50 to 100 trillion cells that make up what we call 'the body.' Keep the cells healthy and you keep the body healthy. Of course, we do not live in a test tube. There are a lot of things that can create the need to detoxify and that impair optimal health. 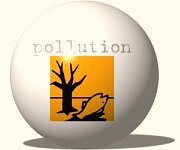 We are routinely exposed to literally thousands of pollutants, those chemicals and other toxins in the air we breath and the water we drink. At last count, about 80,000 chemicals. Couple that with the denatured and processed foods we eat that are preserved or sprayed with pesticides and filled with additives, toxins in the workplace, and even the medicines we take, and we push the natural process of detoxification to the limit. Throw in a little stress, minimal exercise, and a lifestyle that burns the candle at both ends and the body can begin to break down well before it should. It may be time for an intervention. "We can't forget that symptoms are the end result of a process, not the beginning. And herbs can play an important role in any prevention plan." It's pretty easy to see how a chronically toxic body will have an effect on how we age and our ability to thrive. Just about every disease state will have some level of toxicity as a factor. Many cancers are linked to environmental pollutants because so many of them are carcinogenic and continually burden both the immune system are our ability to detoxify naturally. Neutralizing and eliminating toxins is a natural part of what the body does. Body cleansing is going on in some form all the time. The liver, lymph glands, kidneys, colon, lungs and even the skin are continuously working on your behalf at detoxifying the body. At times, however, there can be too much for the body to handle. When that happens, a natural immune response is to move some of the toxins into muscle or fat tissue. This sequestering of toxins is a temporary move by the body because it doesn't have an answer for it in the moment. As this process happens over and over again, it's easy to see how, over time, it can become a detriment to your health. Preventing it from happening and reducing or eliminating it when it does is the purpose of cleansing. Allergies, arthritis or joint pain or other inflammation, fatigue, irritability, frequent colds, depression, headaches, digestive or respiratory problems, excessive perspiration or unusual body odor, sensitive skin, bad breath, mental fog and acne are all signs that you may have a toxic body. The whole concept of prevention is addressing the potential before it manifests as symptoms. We can't forget that symptoms are the end result of a process, not the beginning. Cultures around the world routinely do herbal body cleansing a few times through the year or more, to avoid the accumulation of those toxins that may lead to disease and premature aging. You will see it in some form in virtually every traditional system of medicine. In addition to detoxifying the body regularly, those who are exposed to paints, leads, or other toxins in their work environment or elsewhere and those who take medicine would be wise to consider protecting and supporting the liver. Two herbs that are great for that are Milk Thistle and Schizandra. Spring is a perfect time to do a cleanse after a long winter where we tend to be less active and the body tends to naturally operate a little slower. But they can be done anytime. Some people instinctively want to do a body cleanse whenever they are feeling sluggish. A healthy colon is essential to cleansing, but it is just one aspect of detoxing the body. General detoxifying the body almost always entails a combination of herbs that promotes and encourages the cleansing of organs, blood, tissue and cells. Along with a modified diet made up of lighter fare, it gives the body a chance to rest, restore, recover, and revitalize. Fresh vegetable juices are excellent for cleansing. They are loaded with nutrients and enzymes that promote detoxification and revitalization. While diet can be a big contributor to toxic overload, eating healthy foods can also be one of our biggest assets in helping to keep the body out of overwhelm. Because the standard diet in America tends to be, how shall we say, less than optimal, cleansing can be of great benefit. Heavy meals with excessive protein,low fiber, poor quality fats, processed or otherwise denatured foods and little fresh fruits or vegetables will impair the bodies natural inclination to detoxify. Eating organic foods as much as possible goes a long way in reducing pesticides and other toxins. Enhance your body's ability to cleanse on its own by eating lots of fresh and lightly cooked vegetables along with fresh fruits. Drink plenty of pure water. Eat smaller meals. Make your last meal of the day no less than 3 hours before you go to bed and avoid heavy meats that take a long time to digest. Your body does its best work while you sleep. So let your body rebuild and revitalize through the night, not digest a meal. Because the standard American diet lacks sufficient enzymes, a plant based digestive enzyme supplement can be a key to healthy digestion and help with the important work of breaking down food. A teaspoon of fresh lemon juice in a cup of filtered water first thing in the morning can activate mild cleansing. It is a simple yet effective Ayervedic practice used for centuries in its native India. We all know the benefits of exercise from a fitness perspective. But the increased circulation, perspiration and movement from exercise is a good way to encourage detoxification and even helps to cleanse the lymph system. Plus, the increased metabolic rate for several hours following exercise continues to aid bodily functions. Many cultures use sweating in some form for cleansing. A good sauna can work wonders. Staying healthy and productive well into your seniors years takes your participation. And using herbs as well as the suggestions above can go a long way in supporting your health both now and into the future. Detoxifying the body has been part of traditional medicine throughout the ages and one that is well worth considering for your own health building and maintenance. You can get a whole body herbal cleansing product here.